Best trainer i have come across. John s dedicated and puts lot of work on each client. Takes time to explain diet myths and steadily improve on health as well as body. Will highly recommend it to anyone. 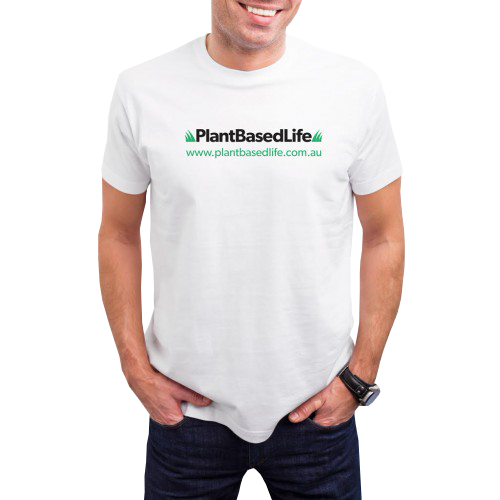 John from Plant Based Life has literally changed my life! I did the 8 week training and nutrition course and I got insane results (8cm off my waist, 2cm gained on my thigh, 1cm on my bicep and 1cm on my calf!) John is a fantastic personal trainer; he does exercises that are less likely to cause injury (resistance bands) and does a lot of body weight exercises, but keeps it interesting and strives towards your goals. He keeps the sessions short but more frequent (2x 30 min sessions per week), which really worked for me. It was nice to do the course with other people and there was a competition as well to entice you which was great! There was a fantastic first prize of a $100.00 voucher for a sports shop and money off further personal training sessions! I cannot recommend John and the 8 week training course enough, I have completely changed my outlook on food and nutrition and my health. I feel that John has helped me to be on course to live a long and healthy life. I have been training with John for 2 months. He is down to earth and gives realistic goals and advice. I have witnessed health and fitness improvements, beyond which I thought was possible. I am going to continue to train with John and would encourage anyone to do so. Thank you very much John. I am appreciative. My trainer, John, examined my fitness levels at the beginning and made a suitable training programme for me. I can clearly see the results of my training. I lost weight and also gained a lot of muscle. I am feeling much more energy than before. John is a very knowledgable trainer who helped me achieve my fitness goals. He motivated me and pushed me within my limits so that I got the most out of every session. My progress had stagnated before training with John, but I achieved unprecedented improvements in the 8-week challenge. I received excellent advice about nutrition as well. I would recommend John to anyone looking to improve their fitness and achieve any type of fitness goals. I really enjoyed training with John from Plant Based Life. Plant Based Life is more than just personal training, but also practical nutrition advice to help you achieve your personal goals sooner. Plant Based Life will take you beyond physical fitness by providing a holistic approach to your well-being that happens to also benefit the planet and all animals as well. I saw a lot of improvements in my body, but the nutrition was incredible! John showed me a healthier eating lifestyle and advised foods to avoid/cut down in my diet. He gave me great suggestions in how to consume more fresh fruit and vegetables which was hard for me as I have a very busy lifestyle (I used to have a lot of microwave, I thought healthy meals, because I was out a lot!) He even got me eating green smoothies at breakfast which is a miracle (and people, you can get them to taste like fruit, not greens!) But, John is on hand to answer any questions you may have at any time, he is so open and helpful and non-judgemental. He’s just there to help you! It’s not just the twice weekly personal training sessions in the course, but we had a group training session in the middle and end of the course and a nutrition class as well. It was great fun to meet all the other people in the course and the nutrition seminar was very informative. We received a leaflet with a mass of information in it and a menu of delicious smoothies to try! I have trained with John for a few months now and initially decided to go with a personal trainer just to give it a try and to add some structure and direction to my exercise regime. John has managed to steer me in the right direction with achieving my personal goals through his combination of exercise and food programs. John is a “no frills” type of guy who provides me the advise I need, pushes me the right amount without putting too much pressure whilst also considering my individual capabilities. Over a short span of time, I have been able to see some positive results that I set out to achieve. John has been providing invaluable advice on creating my meal plan to use alongside my workout routines. His knowledge and experience in this field is vast and thorough. John is a fantastic trainer. John is truly excellent trainer and a master of his craft!.. I have been working with John for the past 3 months and the results in this time are amazing. I started seeing him to gain weight, improve my energy levels, be guided with nutritional information and to develop muscle. His expertise is beyond measure, and every workout with him is throughly enjoyable as he brings enthusiasm and a great sense of humour along with him. His combination of diverse training methods suited to my needs leaves me looking forward to our next session together every time. I recommend John with no hesitation. I have been working with John for 5 months on a weekly basis. Apart from being knowledgeable in his field, John promptly understood my goal and has continually provided advice and training program. He uses a holistic approach, incorporating flexibility, strength, correct posture, endurance along with promoting a healthy and balanced diet. John always makes sure that I am doing exercise postures correctly and reinforces how it will benefit me in long term. The result has been significant. I have become leaner, toned and stronger than before. I had done some weight training in the past, but without proper guidance my knee became injured and suffered back pain. John worked on my rehab which worked great for my body. He worked on my form which made me lift stronger weights and my knee/back pain disappeared. I steadily lost fat each week and my sleep time improved by more than 30 minutes every night. John's advice on my food intake was very valuable and helped me balance my diet. I'd happily recommend John for anyone looking to achieve & sustain long term fitness goals.